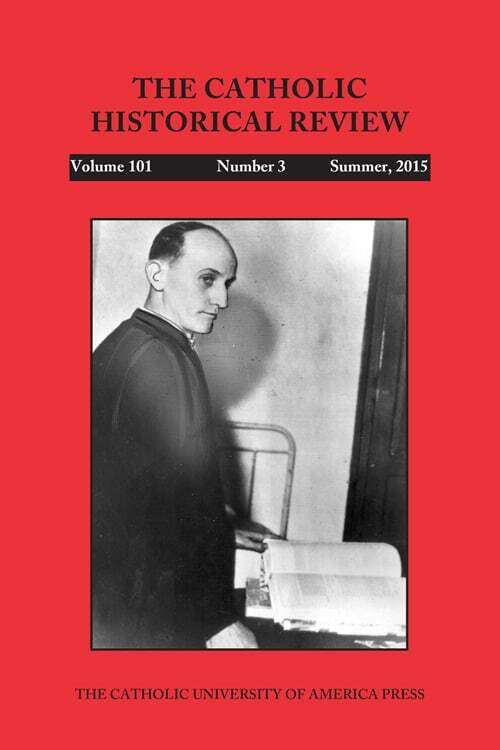 We invite you to preview highlights from the Summer 2015 issue of the Catholic Historical Review. On this page you can browse summaries of articles appearing in the Catholic Historical Review. Catholic Historical Review editor Nelson H. Minnich’s letter to Pope Francis and the Vatican’s response. Beginning in 1609, English Catholic women in Mary Ward’s Institute of English Ladies returned to England to advance the mission of reclaiming England for Rome. The English Ladies typically avoided detection by Protestant authorities as they struggled to meet the religious needs of neglected populations. As women, they often could go where men could not, and their labors allowed those already involved in the mission to reach more Catholics and potential converts. This essay seeks to provide a more nuanced understanding of the English Mission’s delivery of pastoral care as well as the role of Ward and the English Ladies. For sixty-five years the College of St. Francis Xavier was one of the largest and most important Jesuit colleges in the United States. It made a much greater contribution to Catholic higher education in New York City than St. John’s College (the future Fordham University), producing hundreds of clergy, lawyers, doctors, and businessmen. The Jesuits who ran the college also staffed a busy parish church; served as chaplains in many of the city’s hospitals, prisons, and asylums; and founded the Catholic Club of the City of New York, the most important lay Catholic social organization in New York City.